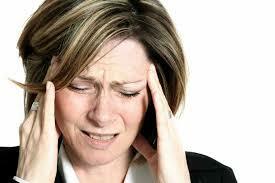 Migraine headaches are one of the most common pain problems in the U.S., affecting 18% of women and 6% of men. There are several underlying factors that predispose to migraines. One of these is an underproduction of energy in the mitochondrial ‘power plants’ in brain cells. Several clinical studies, the first dating back as far as 1946, have shown that Vitamin B2−also known as riboflavin, can assist mitochondrial energy production in migraine patients. Protocols with three months of therapy using 400 mg of riboflavin per day cut the frequency of migraines by almost 50%. This was as good as or better than the benefit of several of the most common prescription drugs for migraine, without any of the typical drug side effects, and at a fraction of the cost. Riboflavin is well tolerated at the 400 mg/day dose, can be used long term, and can be taken in conjunction with conventional medications for migraine. Rare episodes of loose stool can occur with this dose of riboflavin, and in general it should be taken with food. It should be noted that riboflavin for migraine is not a ‘quick fix’. As is common with other nutritional measures for migraine, it takes about a month for benefits to kick in, and up to three months of use to achieve maximal benefit. We don’t always know which individuals will get the maximal response, so if you use it, give it a full three month trial to assess your level of improvement. Keep in mind that with migraines, as in other many medical problems, there are often several underlying factors in play. Besides cellular energy production deficits, migraine headaches can also have hormonal, nutritional deficit, inflammatory, neurochemical, structural and lifestyle factors to assess and treat. But as riboflavin supports a critically important biochemical pathway of energy production, I consider its use to be a foundational part of any combination therapy for migraine headaches. As always, consult your physician about your specific situation and the appropriate medical therapy. This entry was posted in Integrative Insights and tagged migraine, riboflavin. Bookmark the permalink.